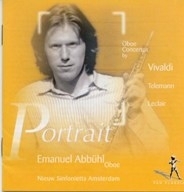 *Recorded oboe concertos by Vivaldi. Telemann. Leclair for "PAN CLASSICS"and Marcello . Bach. Vivaldi. Albinoni. for "AUROPHON CLASSICS"
Cane and reeds made by Ke-Xun Ge are excellent! Reeds: They work nearly everywhere and in each climate as in Mexico City (2600m above sea level, 20% humidity) as in Singapore (sea level, 80% humidity); they keep the original quality very long and with a bit softer strength at the beginning, they get stronger and even better during playing. Very good age, the sound quality is very smooth and flexible, keeping good level through a whole one to two-hour concert. Very good reaction on air pressure or tongueing. Nearly all reeds can be adapted to every type of oboe. ask for your own reed! Cane: Very stable, long living, good colour (bright yellow to gold/light brown), work very well in every strength." Emanuel Abbuhl was born in Berne, Switzerland. He decided at an early age to become a musician, and studied with Andre Lardrot in Basel, as well as Heinz Holliger in Freiburg. He also attended masterclasses with Maurice Bourgue in Paris. He has received many major awards, including prize winner at the ARD Competition 1981, at the Geneva Competition 1982 and at the Prague Competition 1986. 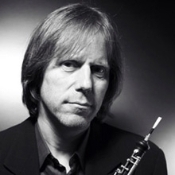 He has been Principal Oboe of various orchestras including the Basel Symphony Orchestra and the Rotterdam Philharmonic Orchestra, and is guest Principal Oboe for the Chamber Orchestra of Europe. He was invited to join as principal and soloist by the City of Birmingham Symphony Orchestra, Boston Symphony, Amsterdam Concertgebouw, Sinfonieorchester des Bayrischen Rundfunks, Budapest Festival Orchestra, Solisti Italiani, I Musici, Northern Sinfonia, Osaka Symphony, Singapore Symphony Orchestra, Amsterdam Sinfonietta, Bucharest Symphony and Queensland Philharmonic. He has worked with many illustrious musicians including Valery Gergiev, Seiji Ozawa, Sir Colin Davis. Witold Lutoslawski, Bernard Haitink, Nikolaus Harnoncourt, Ivan Fischer, Heinz Holliger, Andras Schiff, Klaus Tunemann, Mitsuko Uchido and many others. He has recorded several oboe concertos as well as works for ensemble with Pan Classics and Sony, including the Vivaldi concertos with the Amsterdam Sinfonietta. His recording of works by Robert Schumann for oboe and piano will be released shortly. He has been teaching at the Academy of Music at Rotterdam since 1989 and since 2005 at the Musikhochschule Mannheim. In 2006 he was appointed Senior Principal Oboe with the London Symphony Orchestra. He has given masterclassses at the Conservatoire Superieur de Paris and Lyon, the National Academy in Melbourne, the Art Centre in Seoul, the UNAM in Mexico, the Royal Academy of Music and the RNCM, and many other countries. He was appointed professor of oboe at the Royal Academy of Music in 2007.